According to Android Developers site, Android 2.2 is the most popular version of the Google OS on mobile devices. A reported 61.3% of all Android devices are currently running Android 2.2, with 2.1 not far behind. A more welcoming site is the decline of the 1.x version of the OS sitting at less than 5%. However, users are still complaining that updated versions of the OS, such as 2.3, aren’t being rolled out efficiently by handset makers leaving devices with older software and missing out on features in some cases. Microsoft today release it's latest edition of the Internet Explorer product, Internet Explorer 9. The new web browser has been available to the public in testing and beta form for some time now. Microsoft reported that over 40 million users downloaded the betas. Internet Explorer 9 has HTML5 rendering and hardware acceleration as its main focus features and is now available for all to download. Internet Explorer in recent months has lost market share ground to alternate browsers like Mozilla Firefox and Google Chrome. However with the new release of the browser with better rendering engine and increased security, it is hoping to see some users return. Internet Explorer 9 is only available to user running Windows Vista and Windows 7, leaving Windows XP users to IE 8 or alternative browsers for continued security and features. IE 9 continues Microsoft's battle to end the usage of IE 6 which was plagued with security holes and bad rendering engine which has caused endless headaches for web developers and maintain site compatibility. 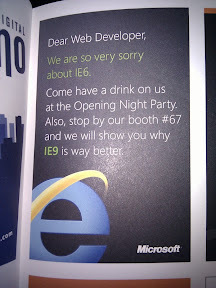 At a Microsoft event via marketing, Microsoft has apologized for Internet Explorer 6. Internet Explorer 6 has an established reputation of supporting proprietary Microsoft website code and poorly supporting more open standard which has changed in recent versions of Internet Explorer. Migration from Internet Explorer 6 has been an up hill battle for Microsoft has large amounts of enterprises and businesses invested their web applications to be optimized for IE6 and compatibility was an issue for new versions of IE. One of the major new features of the next release of Apple iOS, 4.3, is the hotspot features which allows users to tether wirelessly to the phone for internet access and syncing. However, according to Engadget, to get the advertised 5-devices it means 3 devices via Wifi, 1 via USB connection and 1 via Bluetooth. This seems somewhat of a waste or technical back step if you will but that’s Apple for you. AppleInsider has reported that Apple is releasing a HDMI adapter for the iPhone and iPod devices along side the iPad 2 release. Alongside iPad 2, Apple has released a new US$39 "Digital AV Adapter" that supports HDMI audio and video output for 720p photo slideshows and movies on iPhone 4, iPod touch 4 and iPad, while also supporting video mirroring on the upcoming iPad 2. A particular feature is the proprietary messaging service that comes with the Blackberry mobile maybe soon available on Android devices, later followed by Apple iOS devices. This speculation/prediction comes out of the Boy Genius Report and gains momentum from the news that Research in Motion (RIM) will be designing and implementing a “Android emulator” in their line of tablet to enable a large amount of apps straight out of the gate for the new PlayBook tablet device. The Blackberry Messaging (BBM) at the moment allows users to send simple messages to each other using the devices PIN code as an addressing identifier, bypassing conventional methods like SMS. How this would be accomplished on non-Blackberry devices is yet to be determine or even announced but is it enough for RIM to stay competitive and relevant in such competitive time in the mobile device market? We will just have to wait and see. This week, the Australia Government Classification department rejected and otherwise Refused Classification to the reboot of the classic fighting game Mortal Kombat. Classification rejected the game claiming it to be too violent for the Australian public and the game didn't meet criteria for MA15+ classification. Therefore was refuse for release in Australia. This has anger many gamers and has added more fuel to argument for a R18+ gaming rating. Australia continues to be one of the few countries without a R18+ rating for games. Warner Bros. Interactive Entertainment Australia have responded saying they will appeal the decision as the game ha no more violence than other games currently in the Australian market. "After careful consideration Warner Bros. Interactive Entertainment Australia have decided to appeal to the Australian Classification Review Board against the RC (Refused Classification) decision given to Mortal Kombat. After reviewing both the game play and the Board's original decision WBIE Australia believe the violence in the game is on par with numerous other titles readily available for sale in the Australian market. 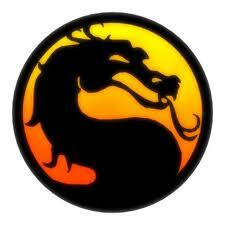 As such the company wants to exhaust all options to make the game available to Mortal Kombat fans in this country. An identical version of the game will be submitted for appeal." It was leaked this week that the Samsung Galaxy S will be getting the Android 2.3.2 update. Leaked ROMs are already available for download for those who cant wait for the official release, however some sources say that it could be as soon as this month that we will see the official release (although this is highly unlikely). Android 2.3 comes with the normal update feature points like improved performance, as well as improved keyboard functionality, ability to modify dictionary, improve app management, power management and more. Apple's CEO Steve Jobs last night revealed their latest product, the iPad 2. The revision has upgrades like a new and thinner body measuring only 0.88cm deep (down from 1.34cm) and weighing only 603 grams. 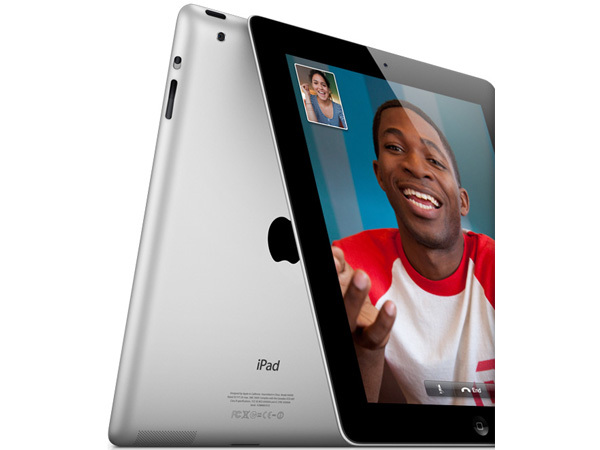 As with the previous release, the iPad 2 will be released in Wifi-Only and Wifi+3G model with storage capacities of 16GB, 32GB and 64GB. The new iPad will be sporting a dual-core processor increasing performance including graphics for gaming. The rear camera reportedly captures at 720p resolution while the front facing camera is VGA-quality intended for Video especially Apple's FaceTime. The iPad 2 will be shipped with iOS 4.3 which includes new features allowing users to port images and audio from apps to other devices, improve Safari performance as well as the ability to set the function of the switch on the right side of the iPad. This was changed after the first iPad was released from a rotation lock switch to a mute switch which no option to change it back with upset users. The ability to change the functionality will be a welcomed feature. Ability to sync with iTunes over Wifi will also included with 4.3.
iPad 2 will go on sale on 25th of March. Pricing is yet to be announced for Australia.